Italy is one of my favourite destinations. The beautiful & charming Amalfi coast, Tuscany, & Puglia.... I admit that my obsession with Italy comes from my fascination to Italian food, but to discover the Puglian countryside is to fall in love all over again. 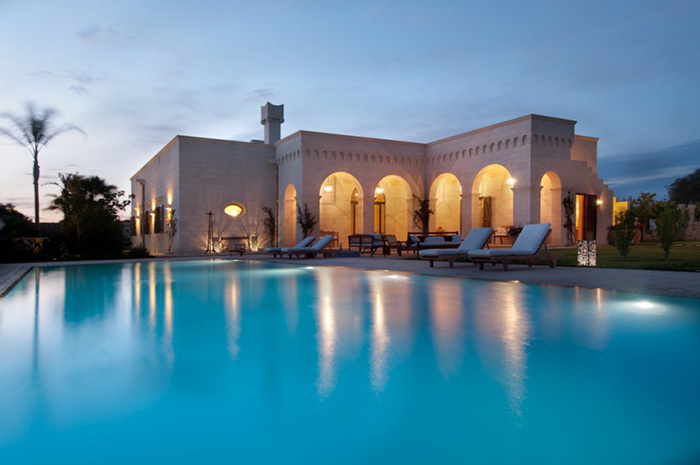 Situated in Salento, at the Southern tip of Italy's boot, Masseria La Spinetta is a lovely recently built villa which combines traditional architecture with 21st century comfort in the most beautiful way. 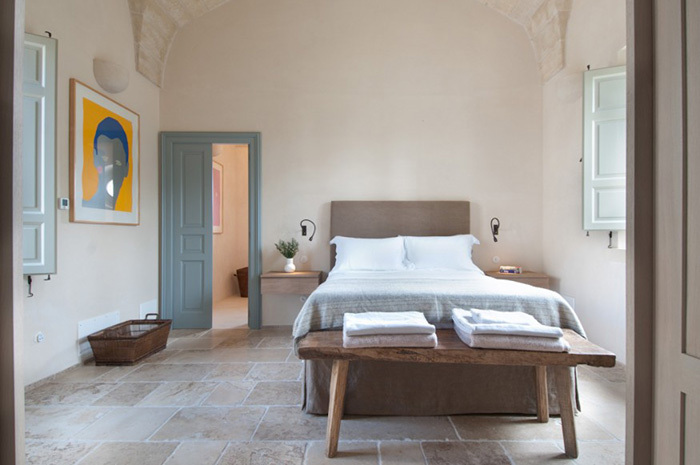 The villa was built from the local Pietra Leccese (the honey coloured local limestone), lofty stone vaulted ceilings and marble floors are a feature of every room. The house counts with 5/6 rooms where 10/12 can sleep, an outdoor kitchen with a pizza oven (obviously..), a home cinema, chef service on request, and a gorgeous swimming pool. 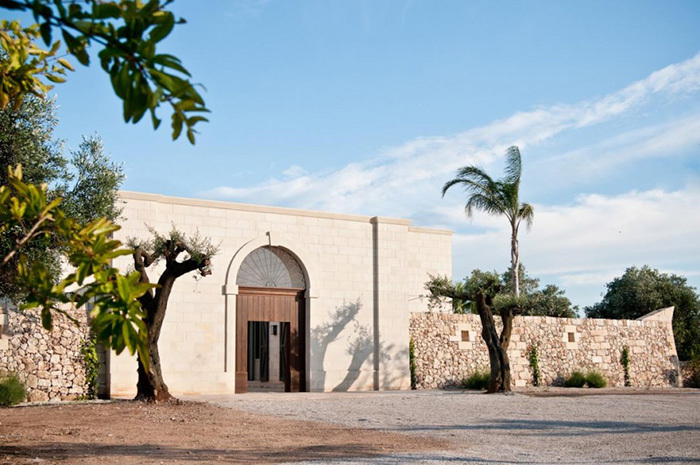 Make yourself at home and enjoy the masseria's own kitchen garden and fruit trees. They also offer cooking classes on request. 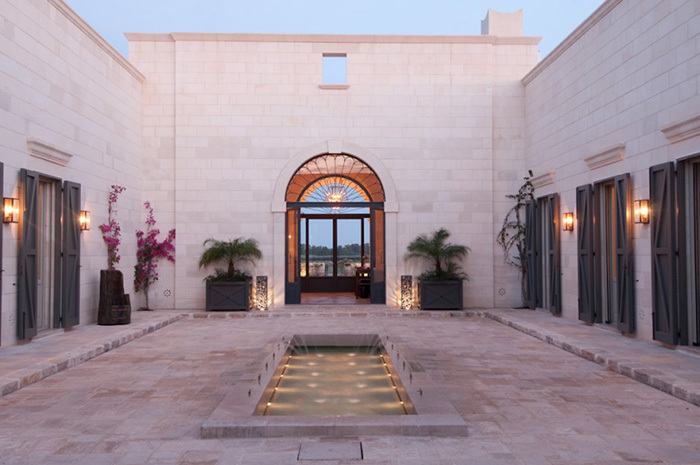 It's the perfect luxury retreat for an escape with friends or family. Make a reservation here. 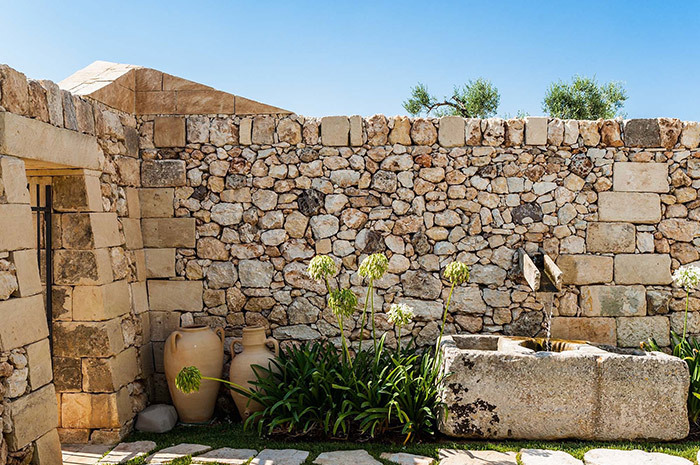 Photos courtesy of Masseria La Spinetta & Cover photo by The perfect hideaway.